We have all seen the growing Latino population and the impact we are going to have in the future. That impact will not be felt unless we are organized and working together as one. That after all is what LULAC has set out to accomplish and that is what our founding fathers foresaw when they first gathered in Corpus Christi, TX in 1929. I want to thank you for your dedication and strong commitment to the League. I look forward to working with you on strengthening and sustaining our membership so that we can continue our legacy of accomplishment for the future. 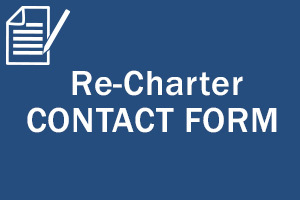 Below are the necessary forms to re-charter with the League of United Latin American Citizens. For pdf versions of these forms please go to our website at www.lulac.org/recharter. 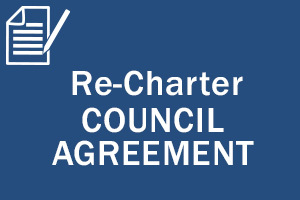 Using any other forms other than the enclosed or online forms will delay the re chartering process for your council. 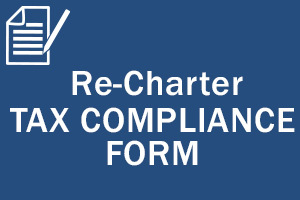 All paperwork must be returned in order to process the charter that includes the Annual Charter Agreement. All applications with proper payment are due at the LULAC Membership Office on January 1, 2019. There is a 59-day grace period extended until February 28, 2019 (** extended to April 15, 2019 **). Only new members will receive a lapel pin. All paperwork, membership cards and pins will be sent to the President of each council so that it can be disbursed to each council member. I wish you all much success in all your endeavors. 1. 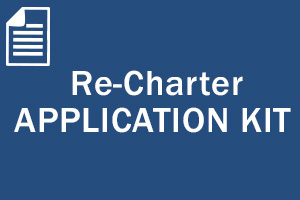 Application for Re-Charter/ Contact Information Form: Complete the required information with the name of the person who will be the main contact, this person is usually the council president or treasurer. Also, be sure to include your council’s Employer Identification Number (EIN). All LULAC Councils are required to have an EIN also known as you’re Tax ID Number. New Councils are required to get an EIN through the IRS (see www.lulac.org/ein and the form included at the end of this application). Be sure to submit your EIN to the Membership Office. 2. Contact Information Release Form: This form is a contact information release waiver authorizing the LULAC National Office to post contact information on the LULAC website. 3. 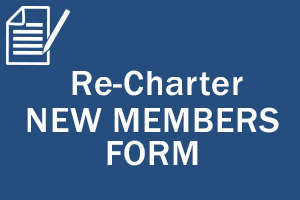 New Member Application: Each new member is required to complete a 2019 Application for New Members. Two members of a neighboring council in good standing may sign to attest to the application. If a local council is not available, two members of the organizing council may sign for the person applying for membership. 4. 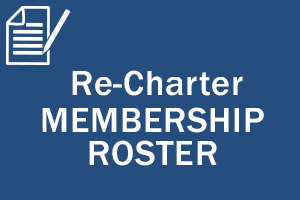 Annual Council Charter Agreement: This agreement is part of the by-laws of the organization that explain the responsibilities and duties of the council, members, and the national organization. Sign and date the document. Keep a copy for your records and return the original to the Membership Office. 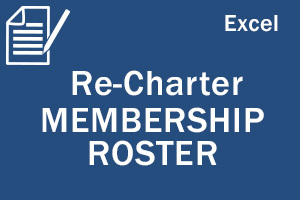 If the Membership Office does not receive this signed agreement your charter will not be renewed and this application will be returned to you. 6. Worksheet and Council Membership Roster: Clearly print or type the name, address city/state and zip code and telephone number with area code. Please note that 10 members are required to maintain a council. Include fax numbers and email addresses. Please list members in alphabetical order if possible. Also, indicate the elected office of each member: Pres, VP, Sec, Treas, Parl, Chap, Sgt at Arms. Also indicate whether Mr. Mrs. Ms. Dr. Rev. or any other relevant title. Also, please do not forget to include your EIN number. Lack of an EIN number will cause your council to not be recognized as tax exempt from federal income tax under section 501(c) 4 of IRS code. NOTE: Once the appropriate forms are completed and the dues calculated, make your checks payable to LULAC National for the total remittance due. National will not accept dues for district or state. Remember to always keep a copy of all paperwork and checks for your records. Should you have any questions, please feel free to contact Lupe Morales, Director of Membership Services, at (915) 577-0726 or via email at GMorales@lulac.org. Mail check with completed forms to the Membership Office in El Paso, Texas. 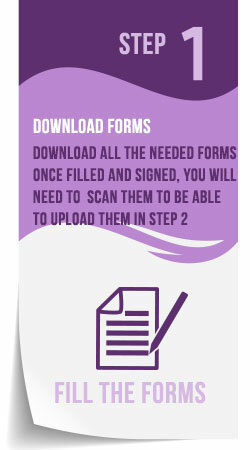 After filling your forms, click here to attach and submit them electronically (PDF, Word, or Excel formats are accepted). 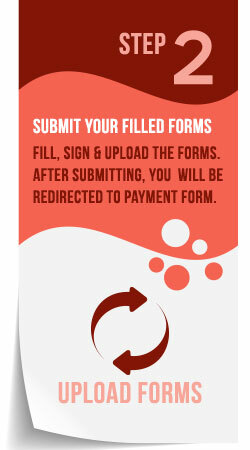 After completing the online form you will be redirected to the online payment form. 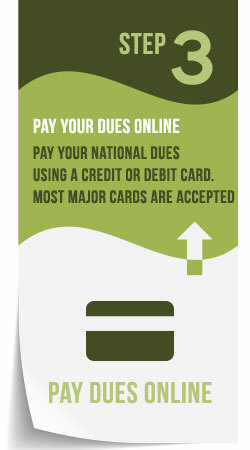 Click here to pay your national dues using a credit or debit card.